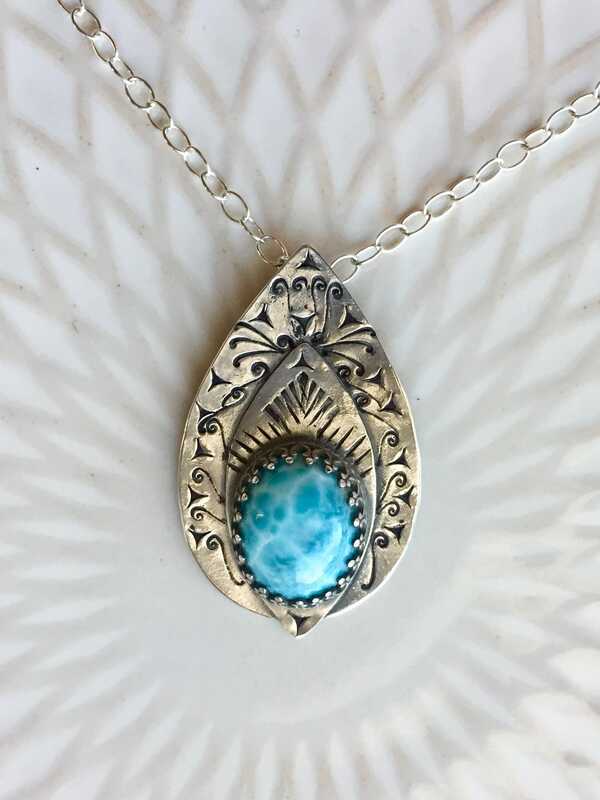 Shaped like a flame, this pendant holds an oval of cool blue larimar inside layers of fiery silver. 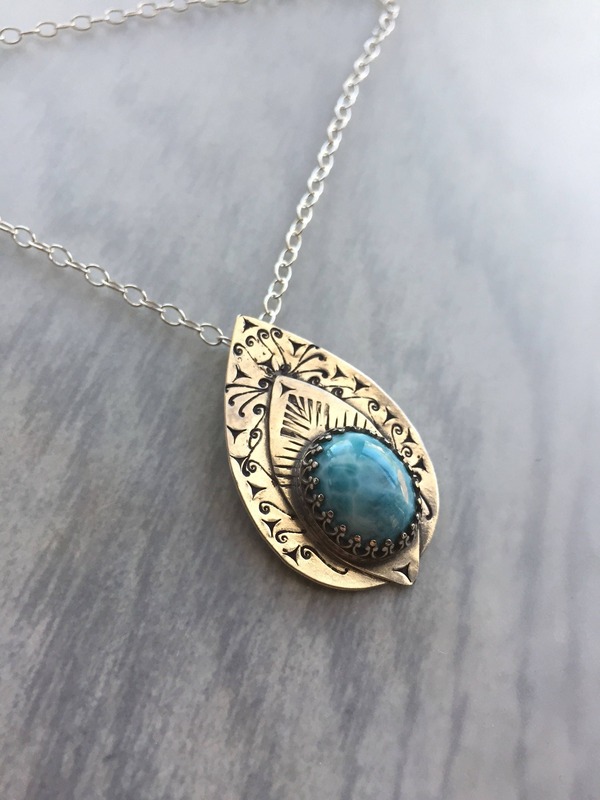 Hand-stamped detail and lots of texture gives this statement necklace a richly unique character. 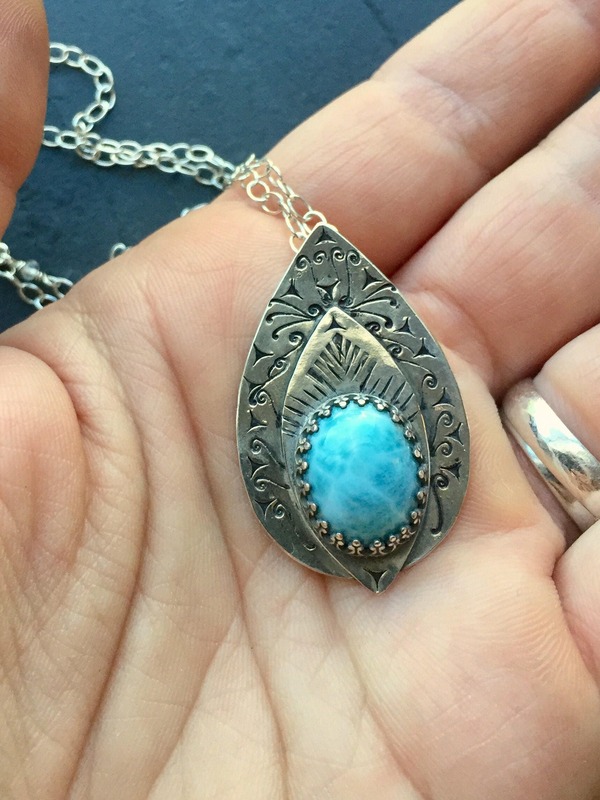 • The pendant measures approximately 1.5" x .75". • The chain is sterling silver. • The chain is 17" long and can be lengthened or shortened upon request.